Drains and sewage systems have always been the support systems of every household. 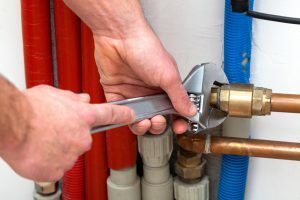 We know how important the whole plumbing system of your house is to you, and we make sure we help you maintain the same. At Alon Special Plumbing Oxnard, we help you repair, replace and maintain your drains and drainage systems. Let us now talk about the various drainage problems your household faces and what can be the solution to that. Clogging of drains: This is one of the most common problems of drainage systems. Improper use of drains, pipes, and sewage systems can lead to clogging of drains. Say, for example, if you flush down unnecessary things that do not dissolve in water, you might have clogged toilets and drains. People flush down wipes, tissue papers, sanitary napkins and so many more unnecessary things down the drain. If you have kids at home, they might flush down toys that get stuck in the drains. We help you with total cleanup of these drains and drainage systems. Overflowing drains: If you have a flood at home, your drains might overflow. This results in stagnant water in the drains that can spread a lot of water borne diseases. Make sure that you don’t have this problem by hiring us. We help you get rid of overflowing drains instantly. Seasonal drainage problems: This is related to frozen pipes during winters that can lead to drainage problems. We help in clearing out the ice from the pipelines hence maintaining the proper water flow through the drains. Old drainage systems: If you have drainage systems that don’t work properly, it might be because they haven’t been repaired for a long time. You just need to make one phone call and we will be there with our team. We help out in temporary repair work and permanent replacements of drainage systems at home.